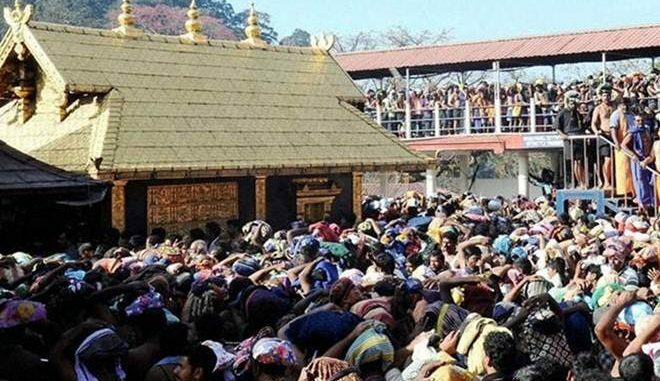 The Supreme Court of India’s observation that women should be allowed to pray at the Sabarimala temple in the state of Kerala, as it is their constitutional right, comes as a balm on a bruising matter that has long polarised the nation. The ban on women between the ages of 10-50 entering this famous temple in the state’s Pathanamthitta district — owing to their ‘impurity’ due to menstruation — gained sanction due to a welter of socio-cultural reasons that remained largely unchallenged until last year when the matter exploded into the public domain, with the Young Indian Lawyers Association challenging the ban and seeking the court’s intervention in the matter. At the heart of this controversy are two questions that are fundamental to a democracy: Does this ban discriminate against women and does it disallow them their right to religious freedom? The answer to both questions is yes. The Sabarimala issue is not the first in this regard. The Shani Shinghanapur temple in the state of Maharashtra, another religious site that had also had placed restrictions based on gender, was ordered by the High Court in 2016 to allow unrestrained access to the temple. These examples are emblematic of a change that is sweeping through India in a domain that has erred on the side of excesses in propagating bias against women. The antecedents of discrimination against women in India have their roots spread over a vast ground that covers economic disparities, socio-cultural and socio-religious divisions, lack of educational opportunities, inadequate access to health care to name just a few. Against such a backdrop, the clear, resounding reinstatement of the right to pray, a fundamental human need, augurs well for India’s future.